This pretty Peplum jumper, top and pants feature a knitted frill. 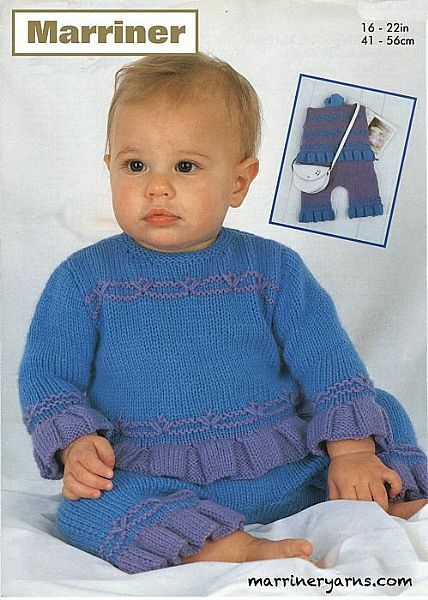 Knitted in Double knit yarn in sizes from 41cm - 56cm (16in - 22in). Hooks required 1 pair size 3 1/4 mm (UK10- USA3) and 1 pair size 4 mm (UK8- USA6) Milward knitting needles or the size of needles to give correct tension. Cable needle. Stitch holders and 2 buttons for jumper and Top. 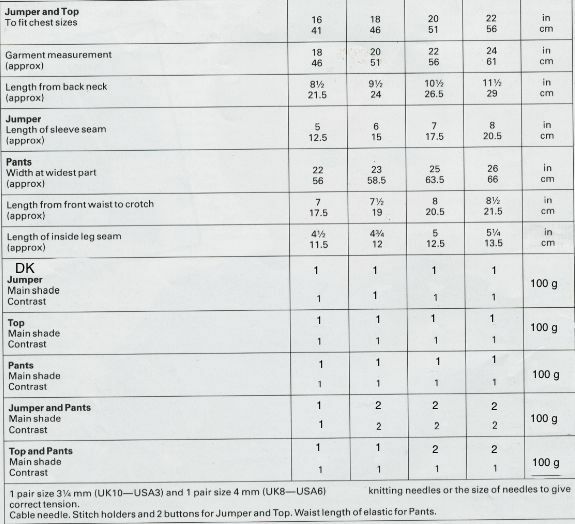 Waist length of elastic for Pants.